Many male Baby Boomers have fond childhood memories of eagerly awaiting the latest issue of the iconic comic "The Phantom" to appear at their local news agency. There were no ipads, iphones or computer games in those days. Even television programmes were limited with many households not having TVs. Comics were a great source of entertainment in the late 50s and early 60s and Lee Falk's The Phantom seemed to resonate with Australians in particular. The Ghost Who Walks, protecting the Bengali jungles from evildoers was incredibly popular. Some of the early issues of the comic sell for large amounts if you can find them and collectors seek them out as a link to childhood memories. Columbia produced a cliffhanger serial featuring the comic strip character in the late 1940s with Tom Tyler starring as the man who could not die. 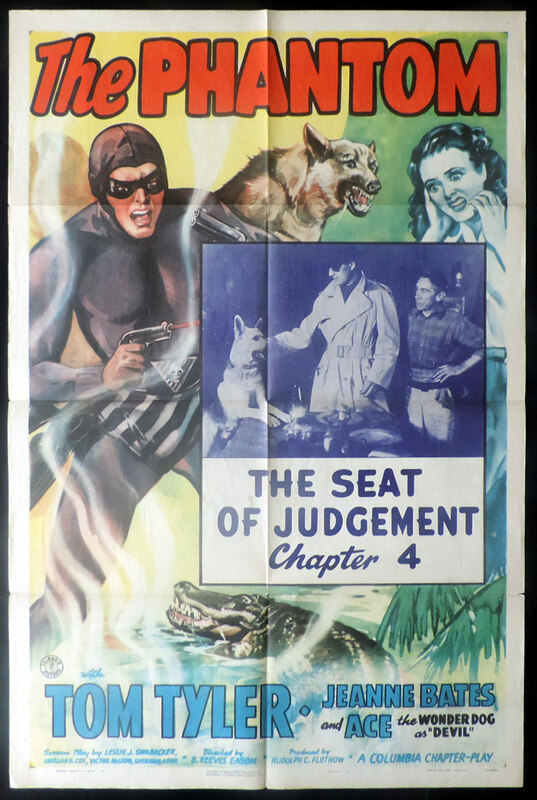 Movie Posters are incredibly scarce, but MovieMem Original Movie posters now has The Phantom Movie Poster available.